The #MeToo movement has sent shockwaves through South Korean society. Alice Privey discusses its emergence with Hawon Jung, Seoul correspondent for AFP (Agence France Press), as well as offers her own reflections on its potential implications. 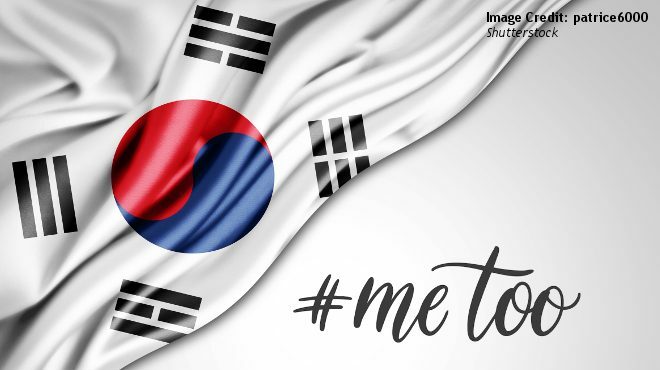 While the world has its eyes on Trump, Kim and Moon, following closely the latest peace developments on the Korean Peninsula, South Korean society is experiencing a social revolution through the #MeToo movement, advocating for greater gender equality in what remains a deeply patriarchal society. In January of this year, public prosecutor Seo Ji-Hyeon went public with allegations of sexual harassment against a colleague, and former senior Justice Ministry official. The revelation of this case triggered a shock wave in South Korea. In breaking the silence on what had been a largely taboo subject, it helped lift the lid on the serious levels of sexism that South Korean women are facing in all walks of life. What does the movement look like in South Korea? Who is behind #MeToo and how did they manage to mobilize people? “Social media – especially Twitter – played a key role in sustaining and magnifying the latest #MeToo campaign in 2018. Allegations of abuses and discussions on sexism in society are often raised on Twitter before mainstream media pick up the stories. Why is this movement taking place in South Korea? Social media aside, what has enabled it to get so much prominence? “The high level of education among South Korean women played a part. South Korea is a deeply patriarchal nation with relatively poor records on women’s rights compared to other economically advanced nations. But education has remained as one of a few areas where women have excelled and faced relatively less discrimination than other areas of society. Women, especially those born in the 1970s and after, were raised by baby boomers who had relatively more liberal views on gender issues than their pre-war, parents’ generation. They encouraged their daughters to study hard and pursue their dreams, saying they can do anything they want – a lesson the daughters took for granted growing up. Going public about sexual harassment and sexual violence can be very costly for women considering the importance of Confucianism in Korean culture and the legal system providing strong defamation laws. It has led to the use of another hashtag specific to the South Korean movement to demonstrate solidarity: #WithYou. What challenges are facing women in speaking out? Will #MeToo fizzle out or lead to lasting change in South Korea? The #MeToo movement has already led to changes at the policy level. New measures were announced by the Moon administration on International Women’s Day in March after a public apology by Ahn Hee-Jung, a high-profile politician who was accused of sexual assault by his secretary. Branding himself a “feminist president,” President Moon has expressed his support for the movement and the victims. Such policy changes include raising the maximum sentence for more serious forms of sexual harassment from two to five years, as well as a new plan to eradicate sexual harassment from the workplace. Measures will include mandating online reporting systems, prevention education, and having specialized case officers in companies to deal with such issues. While these measures are considerable improvements, they need to be properly implemented if they are to prove effective. A case in point is that, in 2016, out of 552 officially lodged claims of sexual harassment and assault, only one led to a prosecution. The #MeToo movement has enabled women to highlight the lack of security they are facing in their everyday life and open public discussions about the role of feminism in South Korea, as well as other important issues such as legalizing abortion and revising defamation laws that currently make it difficult for women to accuse perpetrators. As these public debates are breaking cultural taboos, law enforcement will be key to not only adapting and implementing policies, but also influencing opinion in order to generate a lasting change in society.